Today in Masonic History Jonas Fay is born in 1737. Jonas Fay was an American physician and politician. Fay was born on January 17th, 1737 in Hardwick, Massachusetts. It was in Hardwick that he received his education and became a surgeon before moving to Bennington, Vermont. In Bennington, Fay became an expert on the New Hampshire Grants, also known as the Bennington Wentworth Grants. Bennington Wentworth was the Governor of New Hampshire and gave land grants in what would become Vermont. Problems arose when New York claimed that the land was actually theirs. Fay traveled in 1772 with Seth Warner, future member of the Green Mountain Boys, as an agent for those who had been given the land grants by Bennington to make their grievances to the English Governor of New York, Tyron. In 1774, Fay was clerk of the convention which resolved to defend, with force if necessary, Ethan Allen, Seth Warner and other members of the Green Mountain Boys who had been declared outlaws by New York Legislature. Later Fay served under Ethan Allen as a surgeon at Fort Ticonderoga and under Warner's regiment. 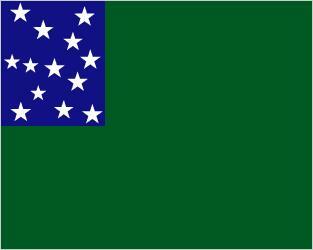 In 1777, Fay was a member of the convention which declared Vermont an independent state, making it a Republic. It would remain an independent state until 1791 when Vermont became the 14th state in the Union. Fay was a central figure, along with Ethan's brother Ira Allen and Thomas Chittenden (both masons), that drove the adoption of Vermont as a state in the Union. It was said that Fay was "learned, sagacious and well versed in political economy." He also helped draft the first Vermont constitution. Fay attended the Continental Congress, although was not recognized as an official delegate. He was a probate judge in Bennington and served on the Vermont Supreme Court in the years prior to Vermont becoming a state. Fay passed away on March 6th, 1818. Fay joined freemasonry during his trip to New York in 1772 along with Seth Warner. They joined Masters' Lodge No. 5 in Albany New York, recieving only their Entered Apprentice degree. In 1782, Fay affiliated with Vermont Lodge No. 18 in Springfield, Vermont. In Vermont Lodge, Fay recieved his second degree on the same night that Ira Allen Thomas Chittenden were initiated. Fay went on to join North Star Lodge in Manchester, Vermont. In 1793 he became a founding member of Temple Lodge in Bennington, Vermont. This was one year before the founding of the Grand Lodge of Vermont in 1794.